Home » News » Will New Plan Ease Housing Shortage in Hebron? 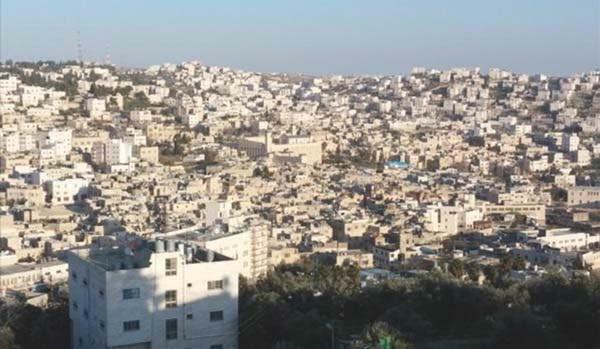 Will New Plan Ease Housing Shortage in Hebron? Community responds to new government announcements. Statement from Noam Arnon, spokesman, The Jewish Community of Hebron, August, 2016. The American State Department's condemnation of the building plans of Jewish homes in Hebron is nothing less then racist discrimination against Jews. The Jewish community of Hebron categorically rejects these statements, just as we reject anti-Jewish racism globally. It is unthinkable that the world's leading democracy would object to Jewish people building in their own properties in Hebron. The ancient Jewish community of Hebron was destroyed by Jihadist riots in 1929 - could it be that the US State Department wishes the set the result of those riots as official policy? We call on all lovers of democracy, justice, and human rights, in the US and around the world, to raise a voice of protest against the US State Department's unacceptable statements, and to, conversely, insure the basic human rights of Jews in the city of the mothers and fathers of Jewish peoplehood. Furthermore, the Jewish community of Hebron prays that the government of Israel will not get frightened or discouraged by the bullying and incitement coming from various quarters, and will stand strong on its decision and willingness to allow Jewish building in Hebron today (as was allowed even under British and Turkish rule). We thank the State of Israel for their courage in the small, but important, step. QUESTION: Mark, I wonder if you have any comment. The Israelis – according to the Israeli press, Israel is planning, for the first time in ten years, to expand the Jewish settlement in Hebron. First of all, are you aware of this report? And second, do you have a comment on this? MR. TONER: Well, we have seen those reports, Said, that the Israelis are considering – plan to build homes for Israeli settlers in a military compound in Hebron. Certainly if these reports are true, it would appear to be an effort to expand civilian Israeli settlement in the city of Hebron, and that would represent a deeply concerning step of settlement expansions – settlement expansion, rather, on land that is at least partially owned by the Palestinians. As you know, we strongly oppose all settlement activity, which is corrosive to the cause of peace. And we’ve said repeatedly such moves are not consistent with Israel’s stated desire to achieve a two-state solution. QUESTION: And I just – if I could follow up – also Israel issued orders also in Hebron, in the hills of Hebron, for the – to demolish seven homes and to throw out seven families and so on, in a town that is actually not – it’s a small town under the – I think, under the authority of the Palestinian Authority. So do you have any comment on that? MR. TONER: You’re talking about, I think, Hebron hills. QUESTION: Yes, the Hebron hills. Yes. MR. TONER: We’re concerned by the accelerated rate of demolitions undertaken by Israeli authorities that continue, not just specifically in Hebron hills, but, frankly, throughout the West Bank and East Jerusalem. And we raise those concerns with Israeli authorities.